Even as the clamour grows for a cut in central excise duty to bring down skyrocketing petrol and diesel prices, the oil marketing companies (OMCs) seem to have got the most bang for their buck ever since the Modi government came to power. While the rise in fortune for the OMCs in the past four years was mainly on account of lower crude oil prices, the common man was left out from the party as the government had hiked tax levies on fuel on several occasions. A peep into the profits of these downstream companies give an idea as to how their financials have improved. Just yesterday, Indian Oil Corp, country's largest fuel retailing giant, reported 40 per cent jump in the March quarter net profit on the back of higher refining margin and inventory gains. Its net profit rose to Rs 5,218 crore in the January-March period compared with Rs 3,720.62 crore in the same quarter of the preceding fiscal year. While HPCL, another state-owned OMC, recorded a drop of 4 per cent in its March quarter profit, the overall FY18 net profit was highest ever for the company at Rs 6,357 crore. The profits for the financial year 2017-18 have more than double from what HPCL made in 2014-15, the same year when PM Narendra Modi became the Prime Minister. For Inidan Oil Corporation, India's largest company by revenue, the windfall is even more staggering. IOC's profits have jumped more than four times since FY 2015. During 2017-18, IOC's net profit was at an all time high of Rs 21,346 crore on a turnover of Rs 5.06 lakh crore. Though the government-owned Bharat Petroleum Corporation Limited or BPCL is yet to announce its quarterly earnings, its profit after tax had shot up to Rs 8039 crore in 2016-17 from Rs 5085 crore in 2014-15. A part of this bonanza could be due to the new refineries which are way more efficient. Also, with rising consumption of fuel, the volumes or the overall refining capacity of OMCs have gone up. To meet the rising demand, IOC alone is planning to invest Rs 70,000 crore to raise its oil refining capacity by about a quarter by 2030. Despite the astounding profits that OMCs have made in the last few years, fuel prices for consumers have gone from bad to worse. Excise duty on petrol was hiked by Rs 11.77 per litre and that on diesel by 13.47 a litre ever since Prime Minister Narendra Modi-led BJP government came to power in 2014. After moving to daily revision of fuel prices in June last year, the government had cut basic excise duty on petrol and diesel by Rs 2 per litre in October last year. However, the current situation appears bleak for oil producing firms. With global crude oil prices hovering around $80 a barrel this year, state-run upstream companies like ONGC and Oil India Ltd (OIL) are fearing a possible return of under-recovery sharing system as the Modi government looks for ways to placate fuming middle class ahead of 2019 Lok Sabha elections. 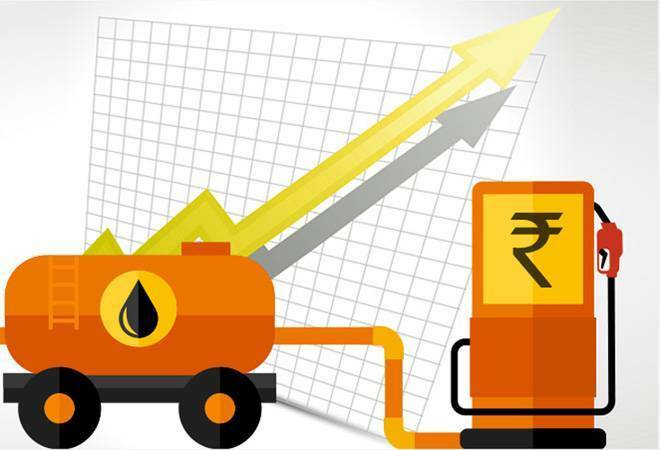 According to Moody's Investors Service, ONGC and OIL could be asked to bear a part of government's fuel subsidy for oil, if prices stay above $60 per barrel for the fiscal year ending March 2019. The credit rating agency added that the government is unlikely to reverse fuel pricing deregulation because of its committment to reforms.